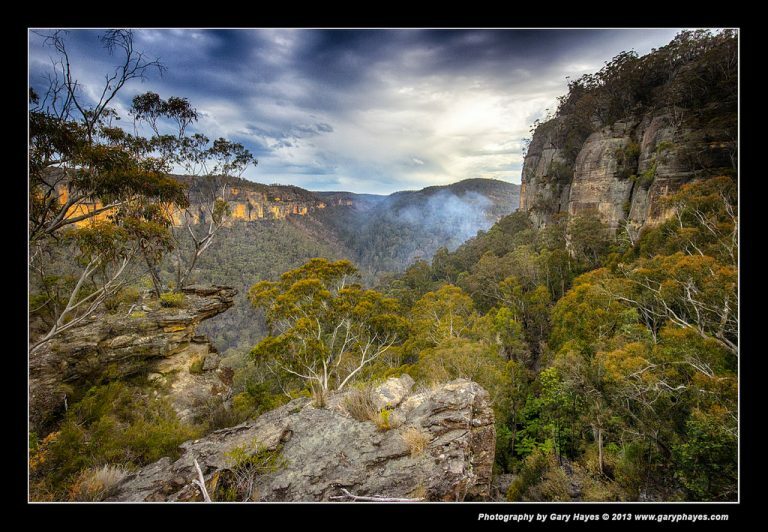 ABOUT: A rarely photographed view at the head of the Grose Valley with great views down the first tributary which are fantastic into the sunrise and with some mist in the air. The view is also half way down the ridges so gives a natural frame to your photos. PHOTO EQUIPMENT TO BRING: Moderate wide angles 24mm range are great for coverage but 50mm-100mm great for compositions looking down the valley. Grads for keep the sky under control and tripod for the low light of sunrise. GETTING TO THE SPOT/S: Near to the Google marker there is a right turn off the Darling Causeway. Use a 4WD and follow the track right to the bottom. Explore the views above and below the lower park and walk along the trail around the rocks.